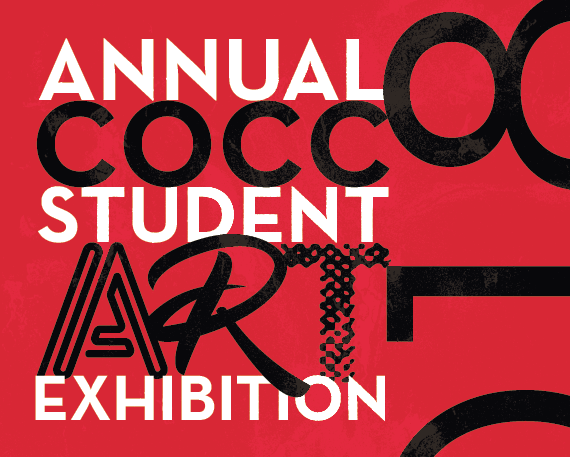 An exhibit of juried artworks by COCC students will be on display at the Bend campus’s Barber Library Rotunda Gallery from May 10 to June 7; the show’s opening is from 4:30-6:30 p.m. on Thursday, May 10, with an awards ceremony at 5 p.m. The annual Student Exhibition will be juried by Greg Amanti and Heather Crank. Amanti is a master mold-maker, stone carver and critically acclaimed artist who has worked at the largest foundries on both coasts. Crank is an award-winning visual artist and designer whose work has shown at the Guggenheim. “Held every spring term, the exhibition provides students who are studying art at COCC an opportunity to show their work,” said art professor Bill Hoppe. Visit the Barber Library's hours. Information: Bill Hoppe at whoppe@cocc.edu or 541-383-7514.